Business customers and fleets are to get free factory fitted TomTom Satnav in Mazda 6s until the end of the year. 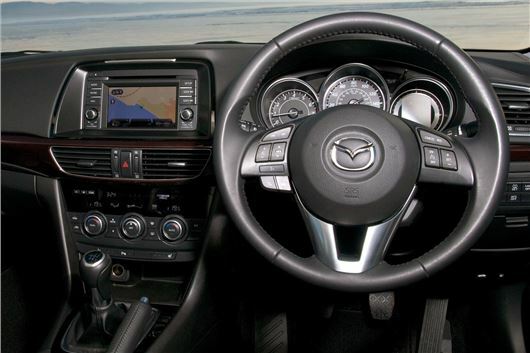 The cost of upgrading from a standard all-new Mazda6 without Nav to a Nav-equipped car is usually £700, but until the end of 2013 the upgrade is available to fleet and company car drivers at no cost. The offer applies across the entire all-new Mazda6 range of Saloon and Tourer models and enables, for example, a customer to upgrade from the 2.2-litre 150ps SKYACTIV-D Saloon SE-L, priced at £22,795 on-the-road (OTR) to the 2.2-litre 150ps SKYACTIV-D Saloon SE-L Nav variant, with a list price of £23,495 OTR at no extra cost. Both models emit just 108g/km of CO2 and achieve a combined cycle fuel economy of 67.3mpg. The navigation upgrade offer is available to all companies who contract hire their cars via leasing companies, irrespective of the size of their business or their company car fleet. It is also available to all small businesses via their local dealer. The TomTom satellite navigation system in the all-new Mazda6 gives European road network coverage and features include voice control; ‘Live Services'* that provide accurate traffic information updates every two minutes and a route change alternative to avoid traffic jams; ‘TomTom Places' that provide information on the location of millions of businesses and other services including addresses and phone numbers; safety alerts warning of real time mobile speed camera locations and average speed checks; and point of interest navigation. The all-new Mazda6 is available in Saloon and Tourer bodystyles with a choice of 2.0-litre SKYACTIV-G petrol 145ps and 165ps and 2.2-litre SKYACTIV-D 150ps and 175ps engines twinned with six-speed manual or automatic transmissions and six trim levels (SE, SE Nav, SE-L, SE-L Nav, Sport and Sport Nav). Prices range from £19,595 to £28,295 on-the-road (OTR). *after an initial three months a subscription can be purchased from TomTom to extend these services.